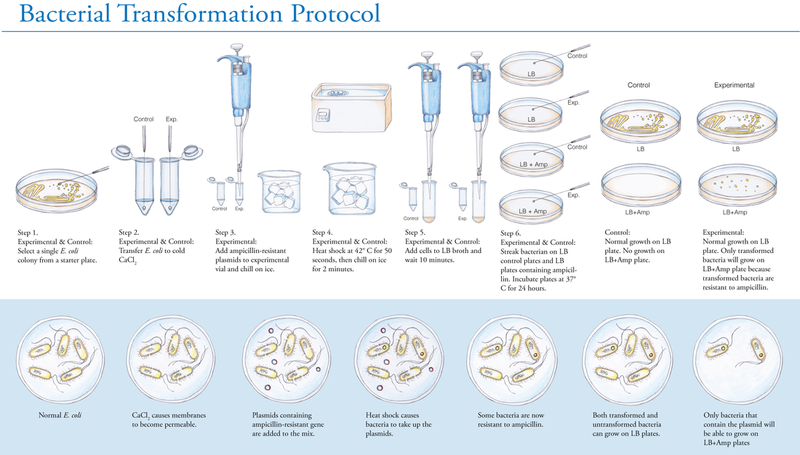 A detailed diagram depicting methodology for a student bacterial transformation experiment. The diagram also includes a panel describing the microscopic processes at each step. A closer look at a portion of the whole diagram.